While we don’t think the blue suit is going anywhere just yet, expect to see more burgundy suits at weddings in 2018. As wedding colors are moving in a deeper direction, this hue will certainly fit right in. And burgundy does look great on many a guy (and not just for fall weddings), so it’s a total win-win. Drip cakes will still be big in 2018—they pair quite well with the relaxed, bohemian look. 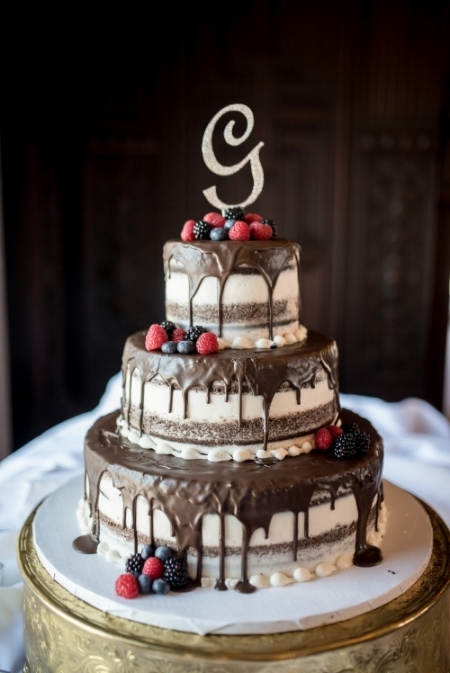 You probably won’t see as many naked cakes in 2018, but cakes with a thin layer of buttercream (the semi-naked look) will still make many an appearance at wedding receptions. And don’t worry, the doughnut trend won’t be going anywhere, though 2018 weddings make take more creative twists on desserts with ice cream, dessert cocktails, and more. Goodbye sequins! These days, couples want their weddings to not only feel personal but also very comfortable, even cozy, for their guests. This 2018 wedding trend isn't just about providing a visual experience, but also a tactile one. In addition to being oh-so-soft to the touch, velvet evokes warmth and luxury. While couples will always love outdoor weddings, indoor venues, industrial spaces, in particular, are the new “it” spaces for 2018 weddings. They have that same relaxed feel and “blank slate” vibe as barn venues, but with an edgier, hip feel that’s oh-so 2018. And the fact that they’re indoors make coming up with an alternate plan for bad weather a moot point. A red and pink ombre wedding cake is instantly Valentine's ready. When outfitting your bridesmaids, take a cue from multi-colored conversation heart candies. Guests will l-o-v-e you after they spot your offering of Valentine's Day-inspired treats. Want to really wow them? Set up a hot cocoa station to fend off February chills. In lieu of traditional favors, create a makeshift flower shop and allow guests to select their own blooms to take home. 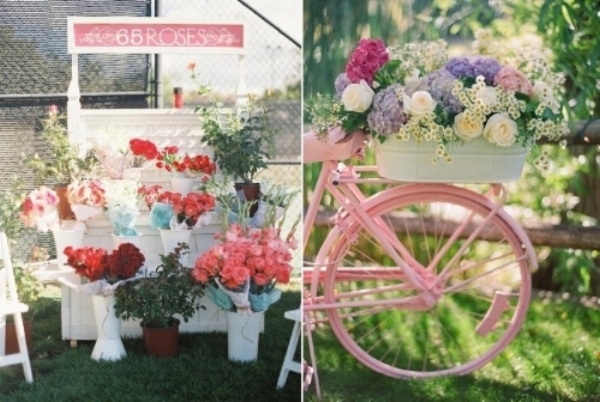 Take the tandem bike out of storage early for a piece of charming, romantic wedding decor.